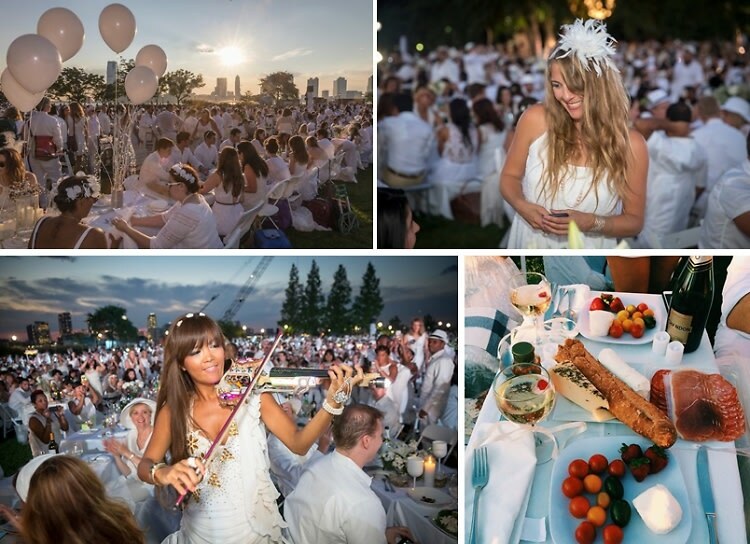 Last night, over 4,000 people gathered in Nelson A. Rockefeller Park for New York City's fourth annual Diner en Blanc. The location, as always, was released moments before the event, where attendees then rushed to set up their tables along the Hudson River. Starting in Paris over 25 years ago, this elegant, all white dinner party has spread to over 40 cities around the world. Check out the magical scenes from last night's feast! Go HERE for more photos by Travis Keyes and tag yourself and your friends!